I've never been the type to let nature pass me by. I'm constantly admiring plants, rocks, and the sky, sometimes taking photos to remember them with. Thanks to the internet, I have a cloud bucket list. 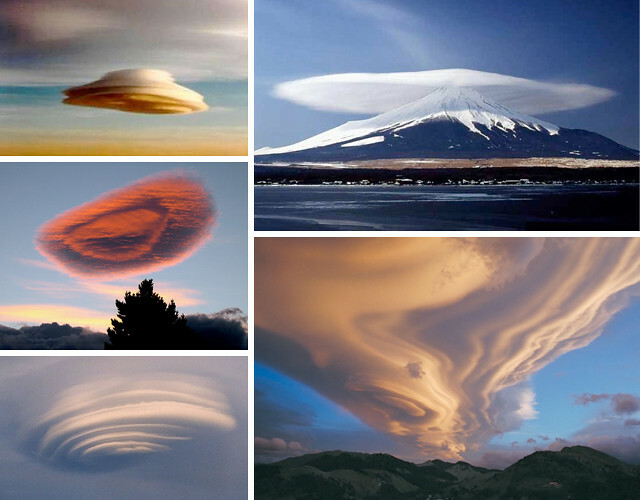 Often mistaken for UFOs, lenticular clouds are normally aligned perpendicular to the wind direction. *If you know who took these photos, please let me know so I can give credit! Technically, I could mark these off the bucket list, as I've seen them not once, but twice. They're so striking, that I would love to see them again, especially now that I have a better camera! Clockwise from top left: Leroy Kromis, Jorn C. Olsen, EOS20, Vitaliy Piltser. 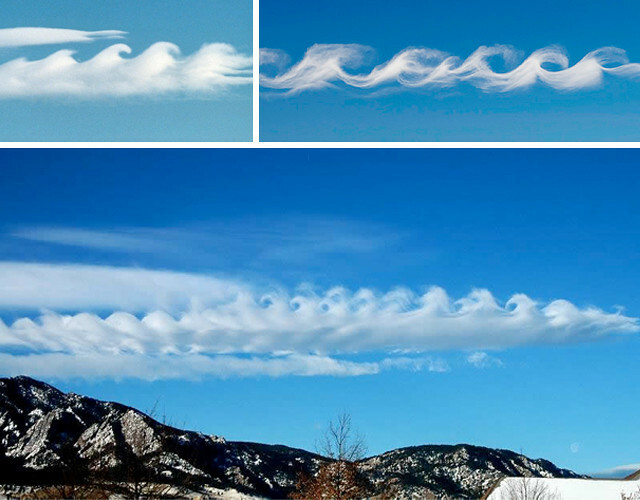 Their familiar shape, like a cartoon wave, comes from forming along boundaries separating air masses of differing moisture and temperature moving at different velocities. Their quirky name comes from British physicist Lord Kelvin and German physicist Hermann von Helmholtz. 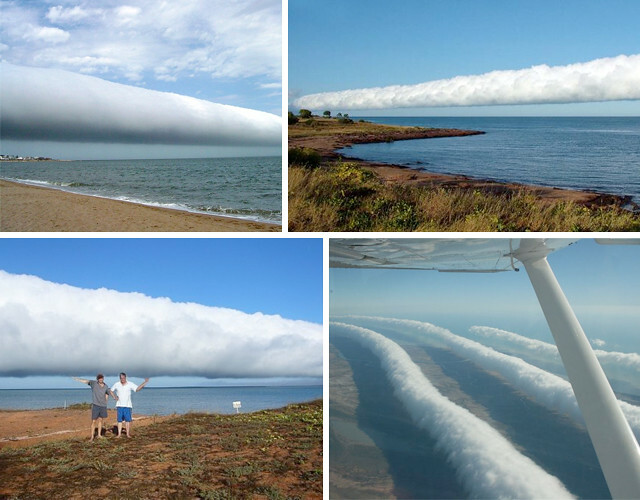 No one is sure what causes these rare cloud formations which can stretch 1000 km, or 620 miles. Perhaps they are the source of the Maori name for New Zealand, Aotearoa, which translates to "land of the long white cloud." *Quite possibly the coolest name I've ever seen. 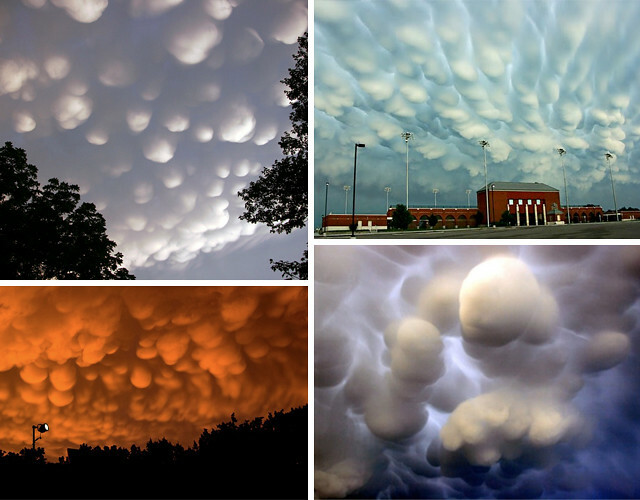 Have you seen any of these amazing cloud formations? W O W ! They look SO unreal! oh wow! We saw morning glory clouds in the field this summer - we all stopped working and took tons of pictures! None of us had ever seen any like that, I'm excited to know their name now!! Katherine, that's great you saw MG clouds! I'm glad I could help you identify them.